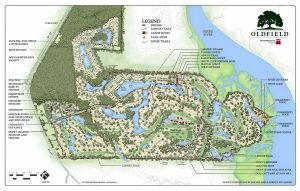 Is Your Community Ready to Convert from Golf to Natural Amenities? There’s an historic trend under way right now at master-planned communities: Convert golf course acreage to amenities that take advantage of the property’s natural landscape and environment to create a total recreational experience. Whether on land or on water, these new amenities allow the generations to experience the community more fully while at the same time expanding the community experience and the market of interested buyers. The cost to close a golf course and convert the land, however, can be onerous. Thus, not all the liberated land should go to amenities. Creative real estate development should be part of the equation. Adding more structure to a community is a step that needs to be openly discussed with property owners and carefully examined to minimize potential conflicts with existing homes within the community. Proposed activities should focus on enhancing community values and strengthening market appeal to the next generation of buyers. There are several options for constructive land use. Sites not directly behind existing homes may be best suited for real estate infill development where generous buffers and setbacks from existing homesites can be created. Practice fairways adjacent to golf clubhouses and fairways not bordered by homes may also be suitable for this use. If there are three or four fairways side by side, then the fairways in the middle could be appropriate for real estate development. Real estate development depends on land setup, zoning. The community must also review existing zoning, land use codes and classifications to determine if zoning amendments are needed to facilitate development.